This entry was posted on Thursday, October 4th, 2007 at 11:29 pm	and is filed under Cajun, Great Bowls of Fire, Main Dishes. You can follow any responses to this entry through the RSS 2.0 feed. You can leave a response, or trackback from your own site. Hi Chris, thanks for visiting my blog and helping me to discover yours. 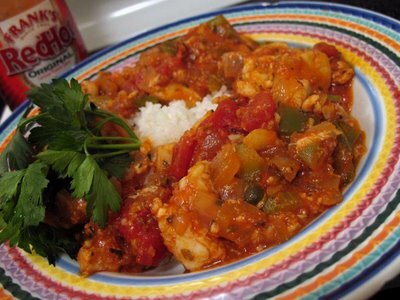 Love fish stews with rice just as you have made here.